The vast stretch of desert to the west of Cairo, Luxor and Aswan is referred to as the Western Desert Oases. In prehistoric times, vast areas of this desert were submerged in water, as fossilised traces of whales have been found in these areas. In the north, visit the Siwa Oasis which is one of Egypt's most isolated settlements, with 23,000 people who mostly who speak a distinct language known as Siwi. 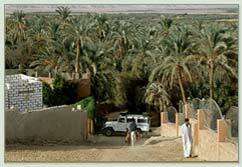 Travelling south you will find the oases of Bahariya. The inhabitants of Bahariya are a mixture of the original oasis dwellers, Bedouin tribes of the Western Desert, and families who have migrated from Middle Egypt and the Nile Valley. 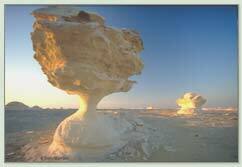 Then on to the town of Farafra-the main geographic attraction of Farafra is know as the White Desert. 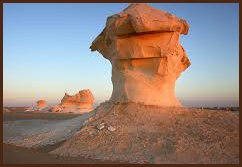 The desert has a white, cream colour and has massive chalk rock formations that have been created as a result of sandstorms in the area. Spend a night camping amongst these amazing formations!